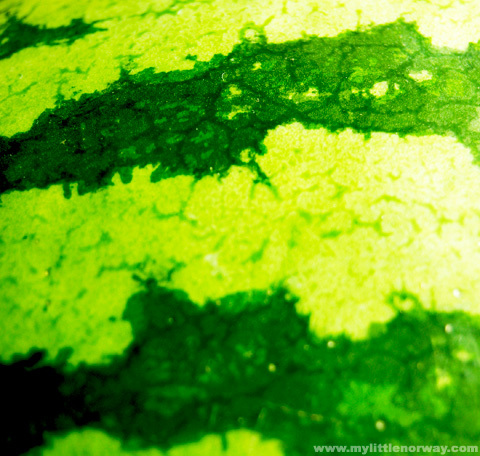 GOODBYE SUMMER, HELLO FALL - What About Watermelon? It’s been a few day since summer ended and I’m still a little bummed out. Oh well. Autumn isn’t a bad season either, I guess. What’s disappointing about the fall and winter seasons, however, is that many people tend to forget all about watermelon. Why is that? Don’t they know that if they look hard enough, that they’ll find watermelon in local grocery stores? Sure, you won’t find bins full of them right inside the entrance, but in most cases, they’re there somewhere. And you might pay a little more than you would in the summer months, but isn’t it worth it? For me it is. Even with the “off season” pricing, watermelon is still one of the best fruits around in terms of cost per pound. The reason we’re able to purchase watermelon year round (and why watermelon should indeed be a year round snack) is because watermelons are grown year round in warmer climates like Central America and then shipped throughout the United States for watermelon junkies like me. And even if the slightly higher price of winter watermelon is something that bothers you, you can still buy watermelon if you just look for ways to make it last longer. Instead of devouring half a watermelon in one sitting (like I often do, even in the winter), try stretching the watermelon out by using it in a variety of recipes. Or just indulging with smaller slices during the winter. All I know is that I can’t live without watermelon, and price is no object when it comes to satisfying my cravings. And judging by some of the responses in this month’s poll, I’m not alone. Ha! I’ve seen those thingies they try to sell as watermelons here now. Once I was even optimistic (stupid?) enough to try. They’re small and a pretty baby pink. You know, the kind of pink that is two shades lighter than Piglet from Winnie the Pooh. Not to mention the taste. *sigh* None. Zip. Nada. Yes, the off season can be hard on us watermelon lovers, especially those in the North Pole! As for your refrigerator dilemma, maybe you can convince your family to install a second “watermelon fridge”! I haven’t found one In Alabama for a week!!! Walmart has kept them stocked all summmer, but lime overnight they see gone!!! No please!!! It’s till I over 90 degrease I need one per week!!! And big ones all they offer in winter here r the size or small canalopes! !